VOA: Let’s start with the European Reassurance Initiative. This was started in June of 2014, a few months after the annexation of Crimea. Now that budget has increased a lot – it’s at, I think, $3.4 billion. Has this been effective to deter Russian aggression? Carpenter: Well, deterrence and defense have to take place along various different levels of the escalation ladder, and they have to take place across various different domains – air, sea, land, et cetera. There’s also conventional deterrence and nuclear deterrence. So it’s a multifaceted effort, and we’re approaching this very much not only from a joint military perspective but, frankly, from a whole-of-government perspective. Because as we see some of the new hybrid toolkit that’s being developed in Russia and elsewhere, it’s incumbent for us and our allies to develop an appropriate response to that, and that’s frankly a whole-of-government response and not just a military response. … It’s the combination. Look, I mean these various different threats – there’s cyber threats, there’s maritime threats, there’s A2AD anti-access/area-denial threats, and so we have to be prepared to meet all of those and ensure that our NATO Article 5 collective defense commitment remains robust and sacrosanct, and we are very much committed to doing that. Carpenter: Well, look, clearly Crimea is a long-term problem, and we approach it from that perspective. We just celebrated last July the 75th anniversary of the Sumner Welles Declaration on nonrecognition of the Baltic states. That was a policy that we kept over many many decades, and I think our approach to Crimea is similar. 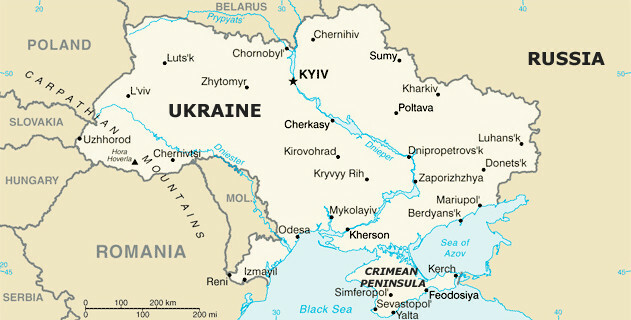 But let there be no mistake: We view Russia’s illegal attempted – and we refer to the term “attempted” because we don’t care for any legitimacy on what Russia has done in Crimea – its attempted annexation is completely out of keeping with all norms of the international order – the inviolability of borders, sovereignty, territorial integrity – and we will maintain a robust nonrecognition policy going forward. Some of the sanctions that we have employed against Russia are specifically tied to the illegal attempted annexation of Crimea, and those will remain in place for the future. Carpenter: No, we’re not giving up on Crimea. We recognize there was not a military solution to that problem, just as there is not a military solution to the problem in the Donbas. However, we have applied extraordinary diplomatic pressure over the course of the last two years, as well as economic sanctions pressure to deal with Russia’s military intervention in Ukraine, and the combination of sanctions applied by the U.S. and our European partners, as well as, frankly, the drop in oil prices, has had a real detrimental effect on the Russian economy – not one which we are happy about, but one which is necessitated by Russia’s actions in Ukraine. VOA: Let’s talk about the training, because that was one thing that VOA got a first look at – going into some of the training at the training center, seeing firsthand the U.S.-Ukrainian relationship. It’s been a few months now, because we were there at the start of the training. Would you tell us what’s been going on? Give us an update on the training. Has it been effective? VOA: Have you noticed any improvement with some of the casualties from preventable blood loss? I know that was a huge issue in eastern Ukraine. Up to 40 percent of the casualties there were preventable if they’d just have the right training for a medical attention. Have you been able to see any of these effects yet, or is it still too soon? Has it not been long enough to take effect? Carpenter: Since the start of the conflict, the U.S. has provided $265 million in security assistance to Ukraine. And we have engaged in the training programs that I referred to earlier. This equipment has gone to – or this assistance, rather, has gone to – a variety of different types of equipment, from counter battery radars to night vision equipment, secure communications, vehicles, patrol boats. It’s been a wide array of different types of equipment. The goal here is to make the Ukrainian forces more capable and able Ukraine to defend itself. Carpenter: We’ve done a lot, and thanks to Congress we have an appropriation for $250 million in additional security assistance to Ukraine. We have calculated from the beginning that the solution to the conflict in the Donbas is not on the battlefield but is precisely through diplomatic and economic [measures], meaning sanctions pressure. And we are fully committed to maintaining sanctions against Russia until the Minsk agreement is fully implemented – and I want to stress “fully implemented,” which means that the border will be returned to Ukrainian control, the international Russian-Ukrainian border. So that has been our mode of leverage over Russia; that is the pressure that we have applied, together with diplomatic pressure. I think we have been very successful in galvanizing international support, particularly with our European partners. We have had to deploy our diplomatic engagements and attention frequently over the course of this conflict to ensure that the Europeans are with us. I think we’ve been very successful in that effort, and that will remain the case. We will continue, however, of course to provide security assistance to Ukraine, because as I said earlier, Ukraine has a right to defend itself. But I think the lethal equipment vs. nonlethal equipment distinction is not necessarily the right one for understanding what capabilities Ukraine needs going forward. We’re here to train Ukrainian forces to make them more capable, including NATO interoperable over the long term. That’s been our goal and that remains our goal. Carpenter: Well, look, we have been very forthright from the very beginning about this tragedy, in which over 300 souls lost their lives, and … we have cooperated with the Dutch safety board in the investigation. … They, in fact, released a report in October which confirmed what we have been saying all along, which is the MH17 was brought down by a Russian-produced missile that was fired from territory in eastern Ukraine that was controlled by the Russian-backed separatists. We came out with that information very early on, and that was corroborated by the Dutch safety board. Right now, there is a joint investigation team – it’s a multinational effort to look into the causes of the downing of MH17 and hold those who are responsible accountable, because ultimately the goal here is to do justice in this case, in this terrible tragedy, and we have been fully supportive of the efforts of both the Dutch safety board and now of the joint investigation team. VOA: Romania says that it wants to create a NATO fleet on the Black Sea permanently. I know that this is not your exact country – you don’t cover Romania – but could you talk a little about how this is going to affect U.S.-Russia relations and whether or not the United States is having talks about [this subject]? Carpenter: Well, what I would say is that we have right now a very low level of a maritime force posture in both the Black and Baltic seas, and it’s something that we need to address. … That said, the European Reassurance Initiative that I talked about earlier and the $3.4 billion is not focused on Black Sea augmentation but on other aspects of our force posture and the prepositioning [of] equipment in the eastern flank of the alliance. But we will have to look at the Black Sea. … We do look at it as a strategic region in which we have both Turkey and NATO allies Romania and Bulgaria … so we do have an interest in security in this region. But at the same time – and I want your viewers to understand this important point – that when we talk about the European Reassurance Initiative, we are talking about something that is fundamentally defensive in nature and proportionate to what Russia is doing, and that will continue to be the standard by which we look at all of our future augmentations of force presence and posture in the region.